Collectibility Rating: Squareneck: D-, Roundneck: C (a great sounding single cone National, but they made TONS of them since they were only $32.50 brand new). 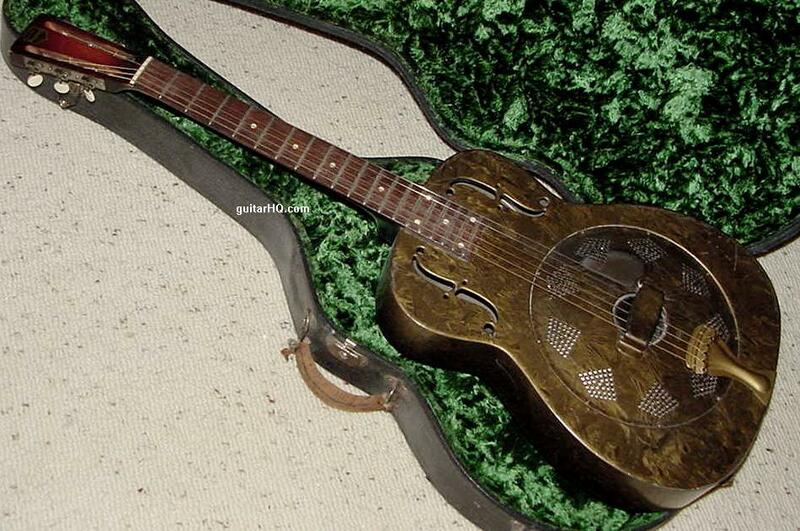 General Comments: Single cone resonator with a steel body and wood neck. 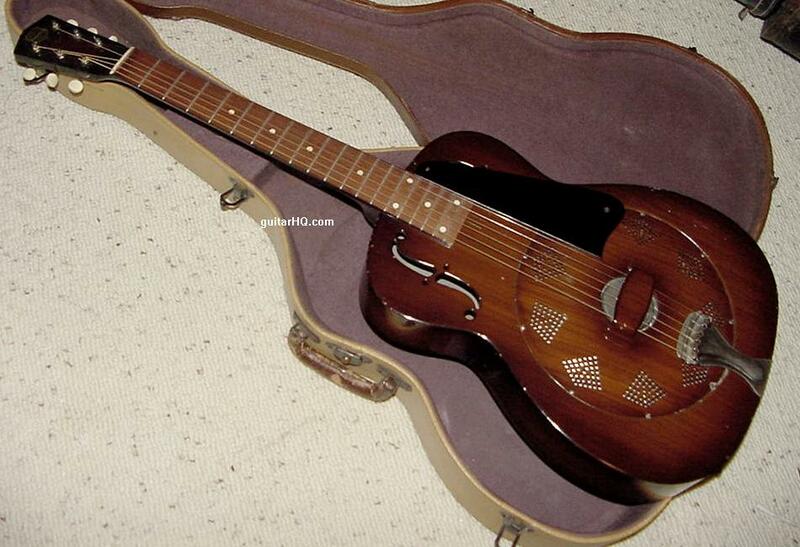 National's basic and least expensive resonator guitar model at the time. 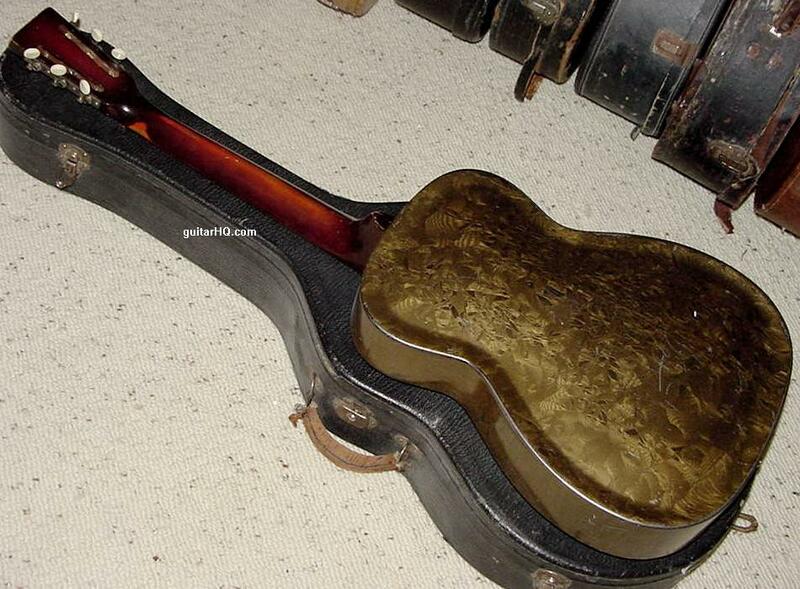 A great sounding guitar, just not very fancy. 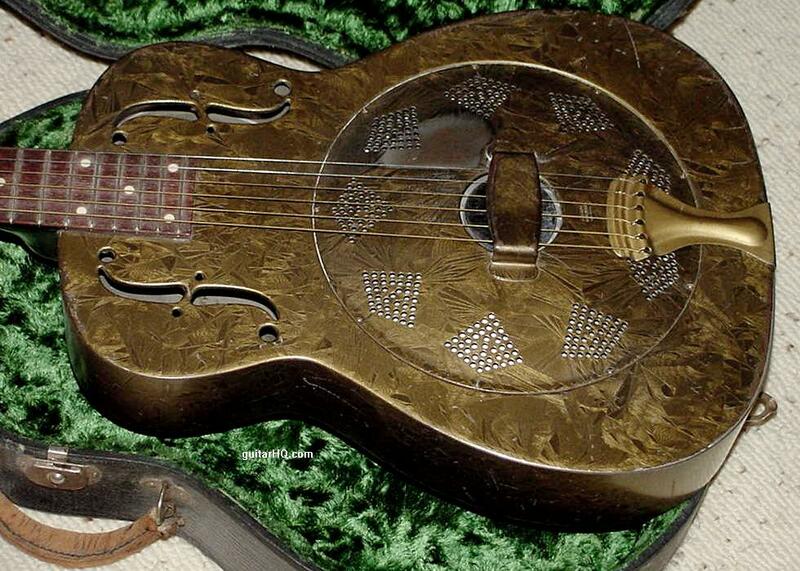 If you need to figure out the exact year of your National Duolian guitar, use the serial number. 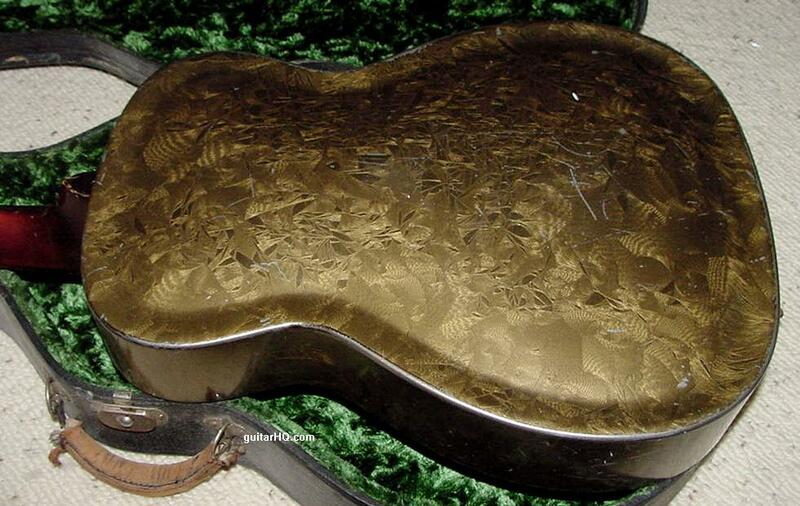 See the National Serial Number Info web page for help determining the exact year. 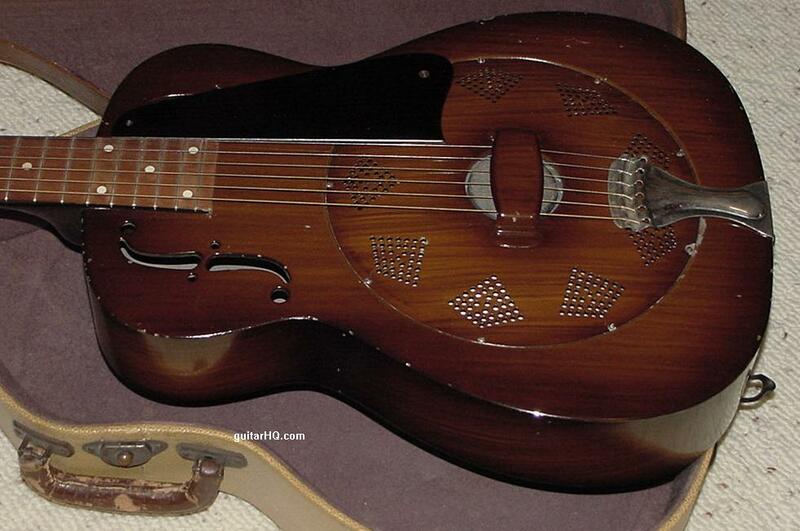 Steel body with flat cut f-holes, Ebonized maple fingerboard with no binding. 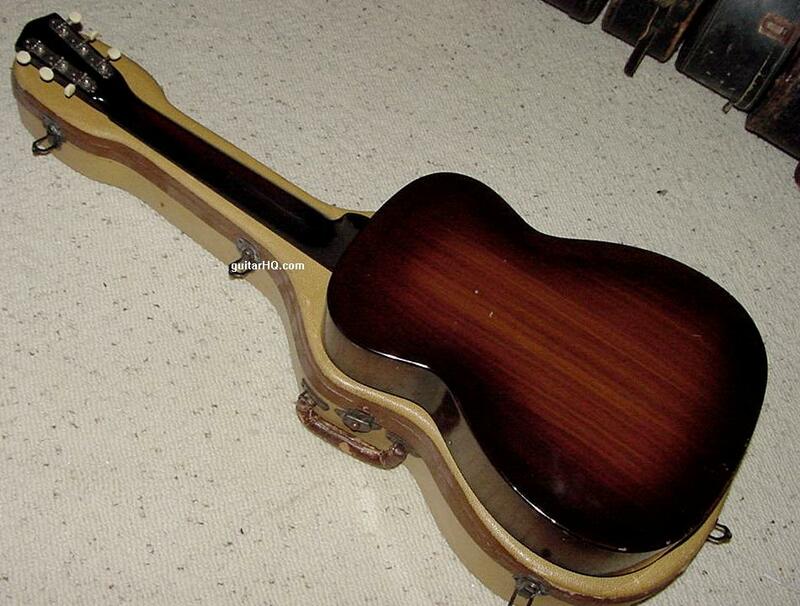 dot fingerboard inlays, Round mahogany neck, 12 frets clear of the body, Slotted peghead, Flat fingerboard radius, "National Duolian" decal on peghead. "Frosted Duco" finish with crystal-like texture, color varies from grey to green to black. "Duolian" stamped in face of peghead replacing decal. 14 frets clear of the smaller body, Basswood neck replaces mahogany, 10 inch fingerboard radius, "Duolian" decal replacing stamped "Duolian" name in peghead. 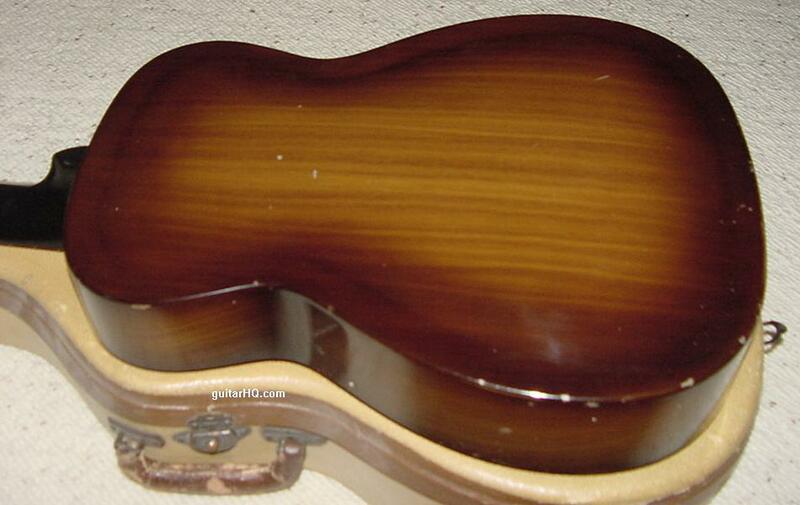 Rosewood or "Red bean" fingerboard, "Piano" body finish, simulating walnut grain. Pickguard added. Sometimes black, sometimes wood grain with diagonal stripes. Duolian Discontinued 1938, replaced by the Collegian.